Let’s say you’re just about done with your recent kitchen renovation – you’ve struggled, suffered, and worked hard for weeks, or even months, and your hard work is finally about to pay off. What stands between you and a job well done is just putting on the finishing touches to your brand new kitchen – one of which includes choosing the right kitchen countertop. However, as the decisions begin to pile up, you begin to question yourself – what if the kitchen countertop you choose doesn’t mesh well with the atmosphere or vibe you’re looking to create with my kitchen? How do you know that it’s right for your particular design scheme? With such a wide variety of choices at your disposal, all with different colors, textures, and connotations attached to them, how will you know that your gut reaction is the right reaction? Well, you’re in luck, because today, we’re going to look at all of the basics that go with choosing the right kitchen countertop. This blog will explain every question you may have regarding kitchen countertops, weighing the various options available at your disposal, and selecting the perfect countertop that will compliment every other aspect of your kitchen – all with the best advice that we at Kitchen &Bath Unlimited can offer. The first question you probably have is among the most important: What are the most popular and versatile options for kitchen countertops? Heading into 2017, many experts have narrowed it down to six different types: Granite, quartz, marble, laminate, solid surface, and butcher block. While all of these options have their own unique style and individual qualities that make them stand out, it is important to select the right kitchen countertop to make the best impression. If you’re looking for a timeless, appealing kitchen countertop, popularized for years by design experts, look no further than a granite countertop. With over 20 shades of granite available at your disposal, all with unique looks and approaches to consider for your kitchen design, many use granite for its overall versatile look. Granite is an excellent choice for those looking for a durable surface that will stand up to the damage from knives and other cutting tools. Granite is your best bet for stain resistance, as it won’t absorb anything spilled onto the surface. 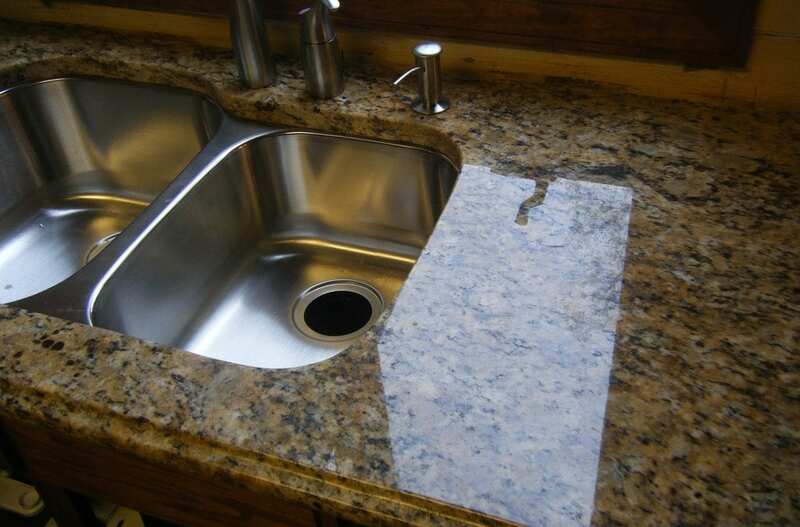 However, granite can also be a cause for concern if it isn’t installed properly in your home, as any crack or opening that has a dark colored liquid spilled on or into it can result in stains to your countertop. Granite is also not the preferred material for your kitchen countertop if the material comes into direct contact with any heavy, sudden pressure from an object. Finally, prices for granite countertops are among the highest when considering the most popular types, running anywhere between $100 and $250 per square foot. Quartz is also among the most popular of choices for kitchen countertop, highly regarded for its beauty, style, and elegance it can potentially add to your kitchen. Many of its benefits are relatively similar to granite, as it comes in a variety of color to help you show off any specific look you want to feature. Quartz is also an incredibly durable surface, standing up to the toughest surfaces with ease; it can also handle stains better than most other countertop surfaces. Though quartz has many benefits when it comes to style and durability, it is one of the more costly countertop options. If you’re willing to spend the estimated $115 to $200 per square foot for a quartz kitchen countertop, however, you’ll be making your money back in both look and strength, as well as adding resale value to your home. Furthermore, while the stability of a quartz countertop can stand up to pretty much any type of blunt force without any damage, it’s important for you to know that some who have utilized quartz dislike how hard the surface actually is. However, this is an acquired taste, and if you enjoy it, it will be all the more reason to select this as your kitchen countertop of choice. When choosing the right kitchen countertop, marble is another option that should undoubtedly be on your radar due to its endless pros and minimal cons. A popular choice for most kitchen renovation projects, marble is a versatile material that can provide a unique look for your kitchen through a wide array of beautiful options. Because marble is so readily obtainable from a wide variety of distributors, you’ll be able to not only save time on tracking down this material, but can also save money through competitive pricing. There are a couple of aspects to consider if you decide to select marble, however. Though the material is resistant to many types of impacts, marble’s Achilles heel in a lot of ways is its susceptibility to scratches, especially when it comes to acidic materials. Because of this, stains are able to form and diminish the quality of the material. If your kitchen is a high-traffic area (a large family that treats the kitchen as a common gathering room), then you might consider avoiding a marble kitchen countertop. However, if you love the look of marble and don’t see traffic being an issue, simply note the material’s weakness and use marble for your kitchen countertop. For a more traditional material to think about when choosing the right kitchen countertop, you may want to consider laminate for your kitchen renovation. Laminate is both a cost effective and easily installable material for any new kitchen project. Because of how readily available the material is, you will have countless choices for patterns and colors to match any design style. Laminate is not only able to be installed as a first-time material for countertops, but can also be placed directly over an old, fading laminate countertop, resulting in an easy installation process. Unfortunately, laminate countertops can be damaged easily. When laminate countertops come in contact with direct heat or sharp objects, the layers can either meld together or get ripped open if you’re not careful. Sadly, any serious damage to this surface means that the entire surface must be redone, as there isn’t a simple solution for smaller section replacements. Not only this, but unlike higher end materials, like granite and quartz, laminate’s easy accessibility and low cost means that they won’t add any increased value to your home. However, as long as you’re careful and can live with the fact that you’re in it for style and not an investment, a laminate countertop can be an excellent addition to your new kitchen. Choosing the kitchen countertop can be made incredibly easy when you go with a solid surface countertop – a thick, durable solution for anyone uncertain about the intricacies of picking out the perfect design. Preparing food can turn into a worry-free, hassle-free task once again, as solid surface countertops are incredibly sturdy and stand up to the toughest tasks. A solid surface kitchen countertop is able to fit virtually any nook or cranny, allowing for flexibility that meets any kitchen design. It’s recommended, however, that you watch the way you cut on a solid surface countertop, as repeated cutting on these countertops can cause blemishes over time. Solid surfaces must be installed with the utmost professionalism and attention to detail for the best possible result. Kitchen &Bath Unlimited would be honored to assist you with this task. You should consider a butcher-block kitchen countertop if you’re looking for a modern approach to a traditional favorite. You’ll turn heads with this simple, polished method of showing off your new kitchen countertops. With wood being such a stable material in general, it shouldn’t surprise that a butcher-block countertop is able to stand up to cuts and bumps from normal wear-and-tear with ease. Once installation takes place, your kitchen will be able to take on nearly any regular task you have in mind, no matter how grueling. Furthermore, because wood darkens with age, butcher-block countertops make for a great look that’s always changing over time. There are a few drawbacks that butcher block countertops have. These include wood’s natural ability to stain from spills – a common occurrence in the kitchen, hot pots and pans may leave scorch marks on them, and sharp objects, such as knives, will mar them. However, if you are quick to clean up any messes, regularly use hot pads, and avoid cutting directly on the countertop surface, butcher block offers a great look that can serve as focal point for your kitchen for decades to come. When it comes to choosing the right kitchen countertop, there are many options to consider, but much of your decision rests on what you want to say with your kitchen design. Whether your deciding factor comes down to simplicity, elegance, convenience, durability, variety, or any mixture of the bunch, making sure you’re meeting all of your needs is essential to making an informed decision for your project. No matter what your project is, Kitchen &Bath Unlimited will be able to help you every step of the way, thanks to our wide selection of kitchen countertops and years of installation experience. Call us at (269) 375-2212 to find out which countertop is perfect for your kitchen.